Stephen B. Goldberg, owner of Goldberg Design Group, knows a thing or two about designing homes. Goldberg has specialized in custom residential design for nearly 30 years, and he works closely with his clients to ensure that the home of their dreams becomes a reality. To help you envision your dream home, Goldberg offers five hot trends in design. 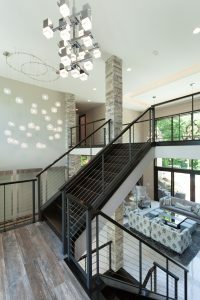 To get more in-depth design trends, give Goldberg Design Group a call at 317-582-1430 or visit goldbergdesigngroup.com to schedule a consultation.